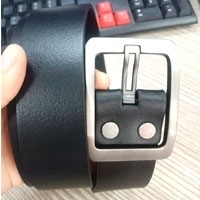 This is 100% top layer buffalo genuine leather men's fashion belt with alloy buckle. 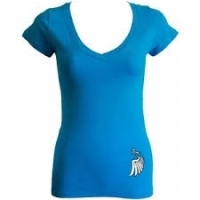 You can add your logo on it. Material: ECO-friendly, non-toxic Our 6 advantages : High quality Reasonabe price On-time delivery Professional Merchandiser Timely communication We accept Paypal, Western Union, T/T and L/C, and other payment terms. Besides, we also establish a new factory in Cambodie and will run this year, we can provide you more competitive price in the future. If you want to expand your business line or find new supplier in 2019, we are your best choice. 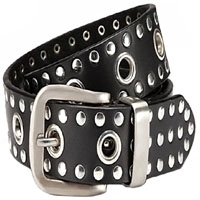 Product description Unisex Studded Denim Belt 3.8 cm Leather in Top Quality Workmanship Description: Men's Studded Belt Black Unisex Studded Belt with Metal Loop Width: Approx. 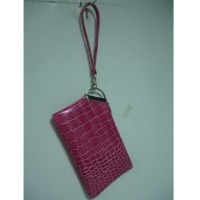 3.8 cm Material: 100% leather. Box contents: belt and storage bag. Rounded metal clasp (nickel free) leather belt with metal loop Can be individually shortened: 1) Loosen the clasp with a screwdriver. 2) Cut the belt to the desired length. 3.) Punch if necessary. the belt at the same distance from the belt end as before. 4.) Reattach the clasp to the strap Simply order the belt one size larger and trim it individually. Determine waist size: Your waistband: 100-110 cm (order 95 cm). Your waistband: 105-120 cm (order 105 cm). Your waistband: 110-125 cm (order 115 cm). Your waistband: 115-130 cm (order 125 cm). Note 1: If you care for your belt well, you will enjoy it for a long time. It is almost indestructible with the right treatment. Short on time? Let fashion-belt sellers contact you. Fashion belt Length:around 105cm. Width:3.8cm. Colour:blackú¼brown. 10pcs/1 dozen, 100pcs/1 carton.